It might seem as though Britain's 103-year-old Morgan Motor Co. stopped designing cars sometime in the late 1930s, since all its cars look like they drove right out of a "Downton Abbey" episode. But the automaker is still creating and building new cars. I gave them a good look while at the Geneva Motor Show last week in Switzerland, and it was hard to believe some of these were brand new automobiles. 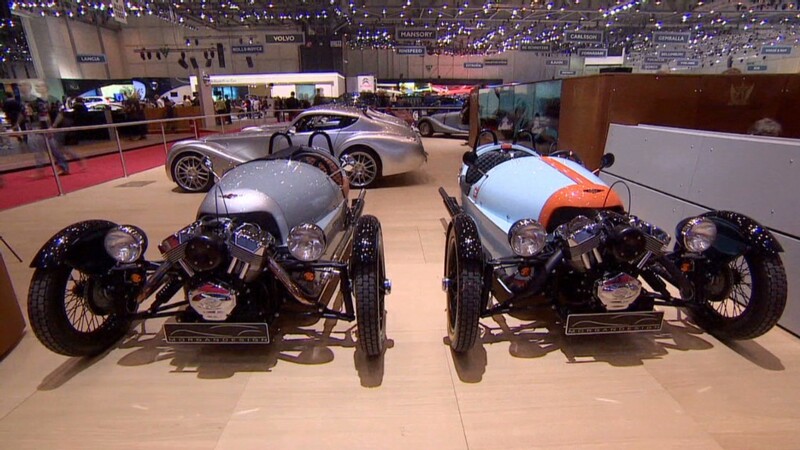 The four-wheel Morgan Plus 8, powered by a BMW V8 engine, is unavailable as a new car in the United States. Except for one model, you can no longer buy any of Morgan's latest creations in the United States. New airbag regulations mean you can't get Morgan's BMW-powered Plus 8 here in the States, for instance, although it is a relatively new design. All cars sold in the U.S. are now required to have so-called "smart" airbags that can tell whether a child or an adult is riding in the front seat. When the new rules went into effect, Morgan sold very few cars here. For the automaker, the additional expense of adding those hi-tech airbags just wasn't worth it, so it pulled out of the market. Only one model is available for sale here in the U.S. today: the Morgan Three Wheeler, which looks like something an eccentric Brit cobbled together in his barn. The engine, an 80-horsepower V-twin motorcycle engine by S&S Cycles of Wisconsin, rides right out in the open between two front wheels. The Three-Wheeler is shaped like a bullet going backwards, and under its pointy rear end there's a single wheel. And that single rear wheel is the whole reason the car can still be sold here. Under the law, it is a motorcycle. True, it looks like a car and it drives like a car but, from a regulatory standpoint, it's a bike. That means it doesn't need airbags, period. Or headrests. Or electronic stability control. It doesn't come with a whole lot of "infotainment" technology, either. No iPod connector, satellite radio or navigation. This isn't a car that's sold on its lengthy list of features. It's a car that's sold on insanity. While 80 horsepower may not sound like a lot, it's enough to power this tiny car from zero to 60 miles per hour in about 4.5 seconds. Top speed is 115 miles per hour. 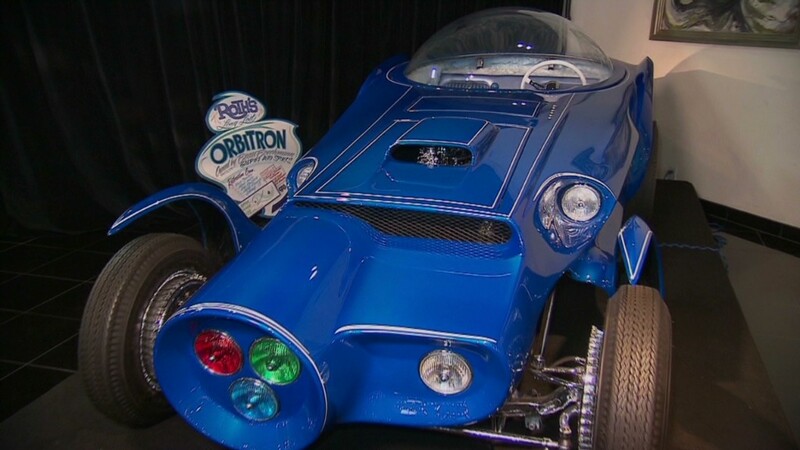 Prices for the Three Wheeler start at about $55,000, solidly in luxury car territory. If you decide you have to have one, the tricky part will be finding a dealer. There are only a relative handful of Morgan sellers in this country. In the meantime, Morgan is working on engineering its next generation of four-wheeled cars to pass regulatory muster in the U.S. You might start seeing those cars in about 2016.